K.R. Mangalam World school believes in providing opportunities to its students to become self relevant and more confident in their own abilities and so K.R. M Paschim Vihar organized day long adventure camp for the students of Pre-school to class I at the camping resort , Eco Adventure Camp , Najafgarh, New Delhi, on 19 March 2015. The aim of this trip was to provide safe and meaningful adventurous experience that balances challenging adventure and exploration with fun. On reaching the camp site, after a warm welcome , the students were divided into various groups and to each group a guide as their team leader was assigned. After sumptuous breakfast , the kids were taken for various adventurous and thrilling activities like river crossing , commando net , jumping jumbo etc . 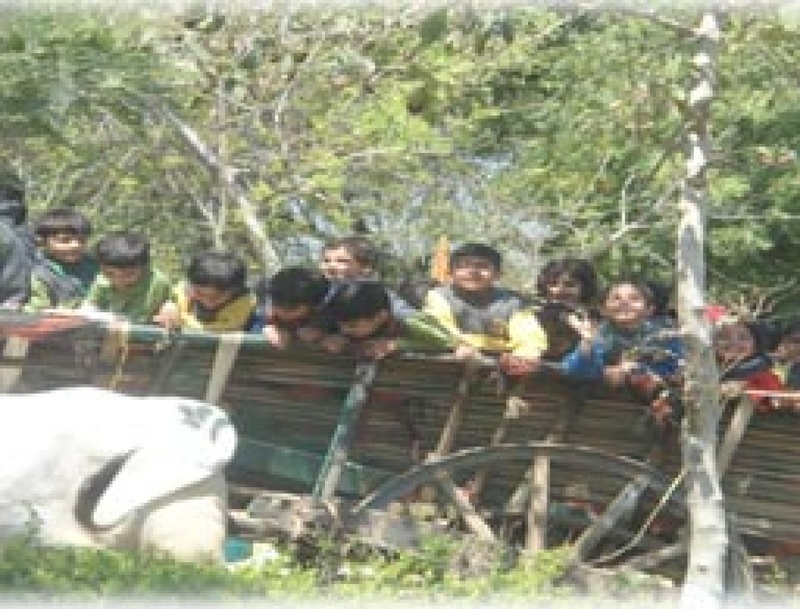 The most rapturous activities were the tractor, bullock cart and camel rides. The last was the magic show where the magician awestruck them with his witty tricks. The healthy and nutritious meal was also served which they all relished. The whole experience was enthralling for all the students as all these activities instilled in them a healthy spirit of competition and feeling of personal accomplishment and so the trip not only gave them a break from the regular studies but rejuvenated their experience with loads of adventure and excitement as well. Thus making it the most memorable day for all of them.